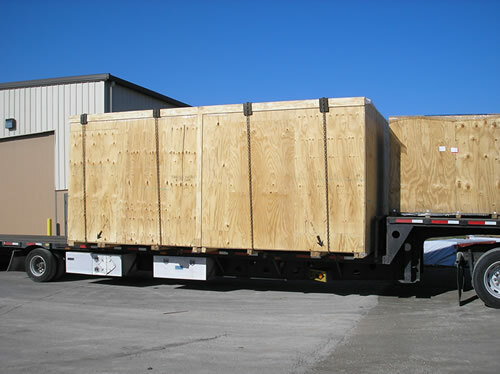 INDUSTRIAL WOODFAB is a full-service company specializing in the preparation and processing of customer supplied materials for domestic and export shipment. Our engineering staff, supported by a trained production force equipped with modern equipment and facilities, can meet your most demanding service requests. Each product we handle is considered individually before shipping preparations are made. Content and total weight, shipping configuration and handling fragility are studied. Planned shipping method and shipping destination receive equal attention. Every specification, required for shipment preparation, is detailed for the customer because we guarantee customer satisfaction.